Here at the bakery we make something called a Swiss meringue buttercream. It is light and fluffy and made with butter, pasteurized egg whites and sugar. Then we flavor according to what the client wants. 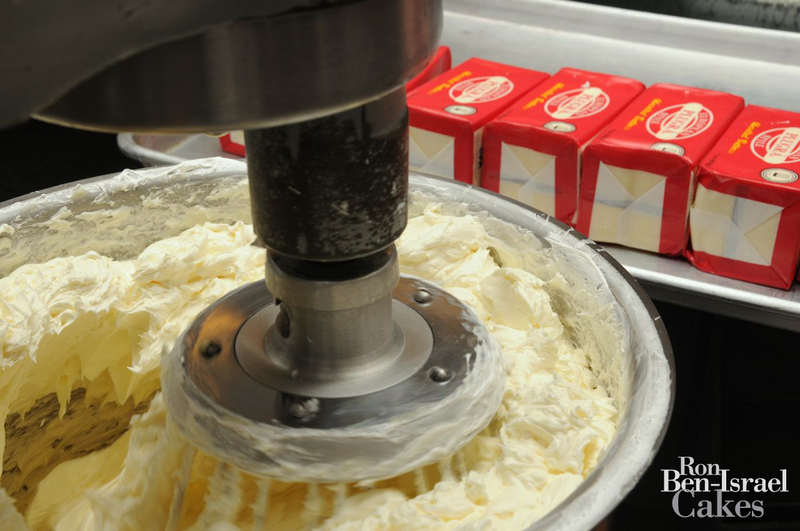 Buttercream mixing in one of the Hobart mixers. When we meet with our clients we present an array of flavors for them to try. 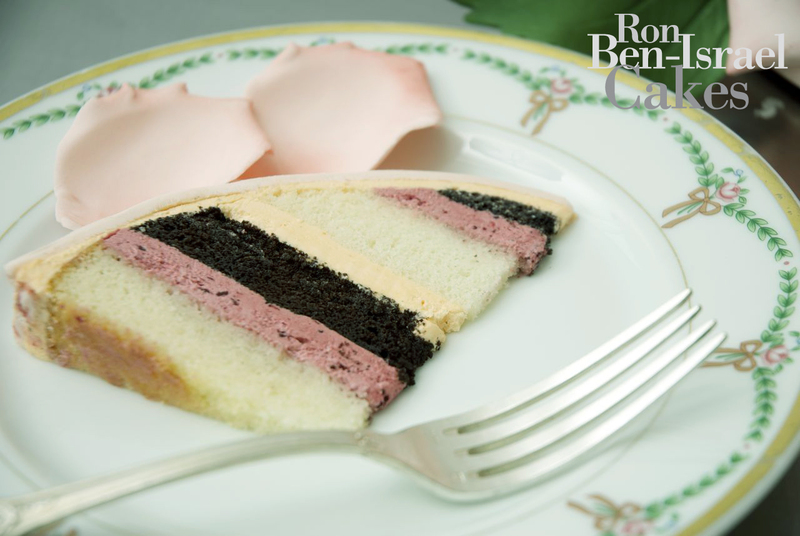 Like the outside of the cake, the inside can be just as customized and we hope our clients take the plunge and create a more flavorful “dessert” than just vanilla cake with vanilla filling. (Although that combo is very delicious, it is very expected.) Some of our clients come in with a favorite dessert in mind. We deconstruct the dessert and build it back up in the cake. “Almond Joy Cake” Almond Cake, Coconut Buttercream with Dark Chocolate Ganache. “Pumpkin Pie Cake” Vanilla Cake, alternating layers of Pumpkin and Vanilla Bean Buttercreams. “Key Lime Pie Cake” Vanilla Cake, alternating layers of Key Lime and White Chocolate Buttercreams. 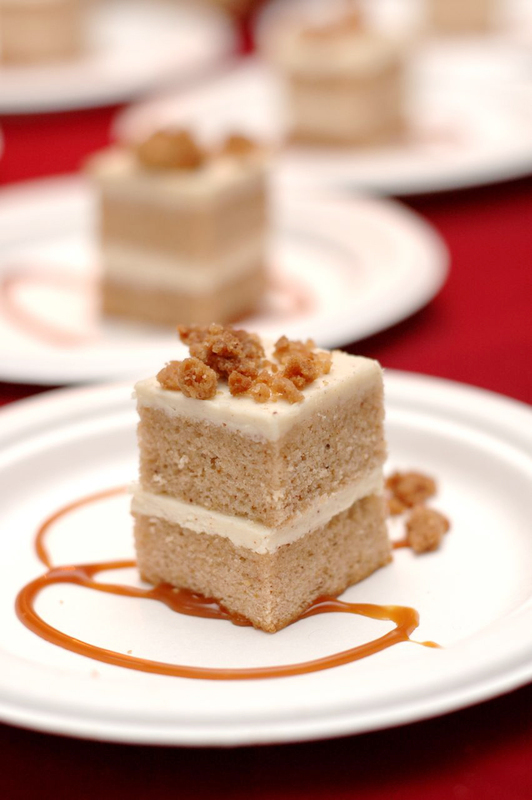 "Apple Cobbler Cake" Vanilla Spice Cake, Green Apple Buttercream, with Cinnamon Streusel & Salted Caramel Sauce. This cake was made for the City Harvest Bid Against Hunger Event. 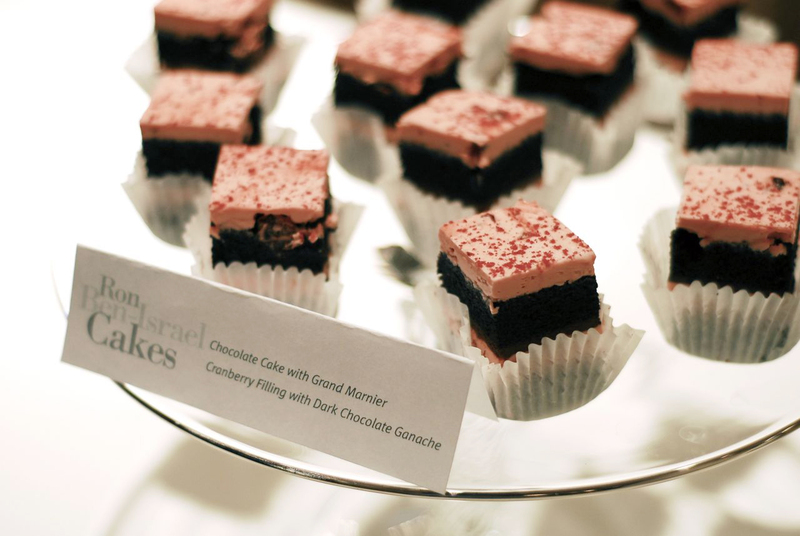 Chocolate Cake & Cranberry Buttercream filling. These are tastings we provided for the SWEET event. ← I can’t pick just one….